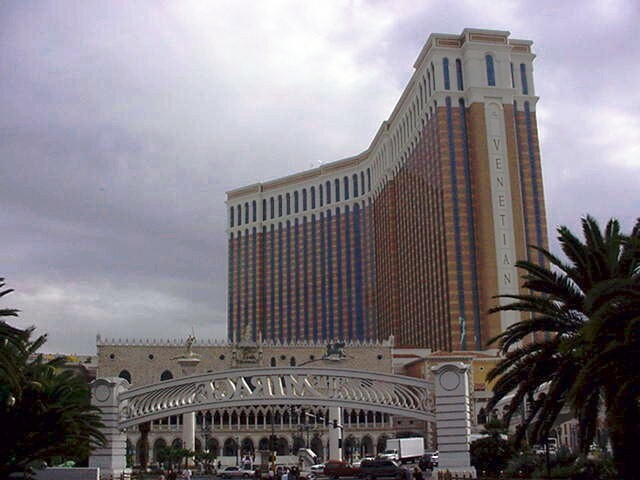 This grand and elegant hotel/casino will be the largest hotel in the world (8000+ rooms) when final phase is complete. Room rates are $230-330 during the busy season; all rooms are suites. 120,000 sq ft casino equipped with 2500 video poker and slot machines; 125 tables; 500,000 sq ft of shops. Best room numbers: x102-x142, x205-x237 - for a north west view of the strip - 10th floor or higher is recommended. 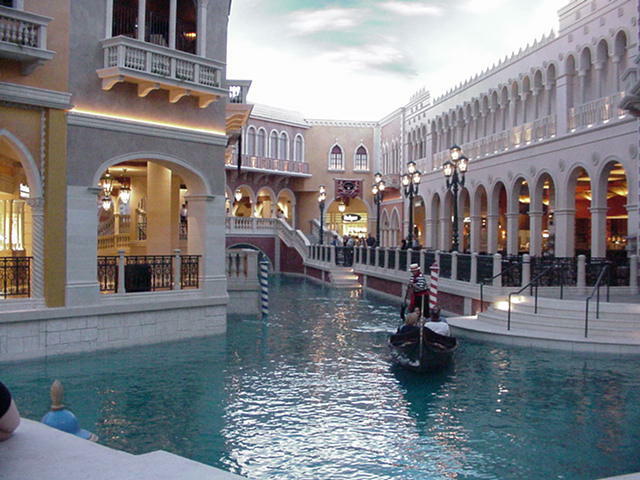 Hotel highlights: Canyon Ranch Spa offers world class massage, manicures, fitness, and other personal services within its 63,000 sq ft facility ; Venetian Grand Canal shops feature a canal which flows through the mall - complete with gondola rides; Madam Tussad's Wax Museum is connected to the complex, a must-see! and others. Open 9:30 am-8:30 pm, $15 admission. Showcasing over 100 wax figurines of famous people, these lifelike replications include movie, TV, sports, and musical celebrities. Displays are available for a behind-the-scenes look at how these remarkable figures are created. Open 10 am; admission for adults, $19.95, children, $9.95. Parking: take Flamingo to Koval, proceed north to garage (clearly marked with signs). 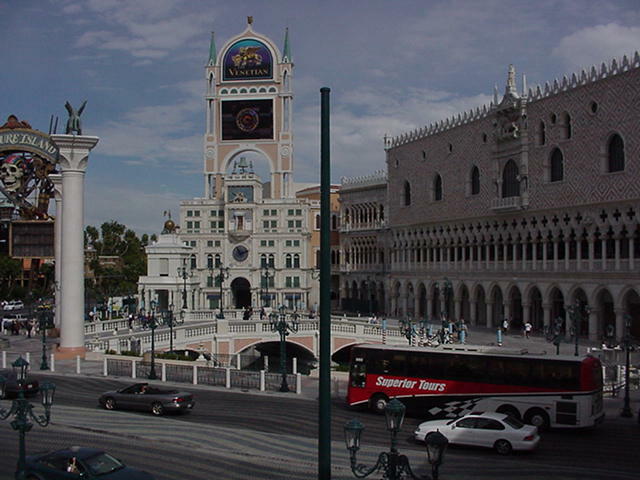 You'll enter the Venetian in the Shoppes area. Convention FacilitiesA recent expansion added over 1,000 guest suites which are suitable for breakout meetings. New meeting rooms and boardrooms bring the exhibition space to a total of 1.9 million square feet. Flexible floor plans allow for up to 125 meeting rooms; an 85,000 pillarless ballroom seats over 8,000 attendees.